4Q18 results for all three banks were down, but this was not a complete surprise considering that global market was weak in the final quarter of 2018. As a result, the three banks reported -7% to -26% QoQ decline in 4Q18 earnings. Nonetheless, full year earnings were at record highs for all three banks, ranging from net profits of S$4,008m (UOB) to S$5,577m (DBS). Last year, the STI fell 9.8%, while the FTSE ST Financials Index (FSTFN) dropped 8.7%. Even with the recent gains in the market in 2019, the indices have not recovered to the 2018 highs in May 2018. The STI is 12.6% away from the 2018 high. At the 2018 high, the FSTFN was trading at 14.3x forward earnings and price-book of 1.2x. This has now dropped to about 1.0x book. The lackluster performance so far this year could partly be due to expectations of lower fee income as well as expectations that there is not going to be any further Fed rate hike for the rest of this year. With another record year projected for FY19, albeit at a lower single-digit growth in terms of earnings, it is not unreasonable to expect the index to trade back to the norm or the 10-year average of 1.1x book. 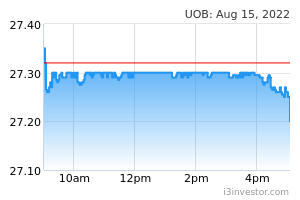 Our fair value estimates are S$29.31 for DBS and S$28.30 for UOB. 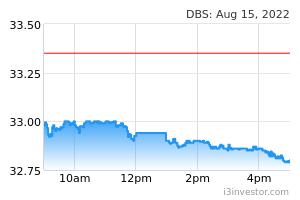 At 25 March 2019 closing prices of S$25.12 and S$24.95, DBS is trading at 1.3x book and UOB is at 1.1x. In addition, dividend yields are 4.8% for both.